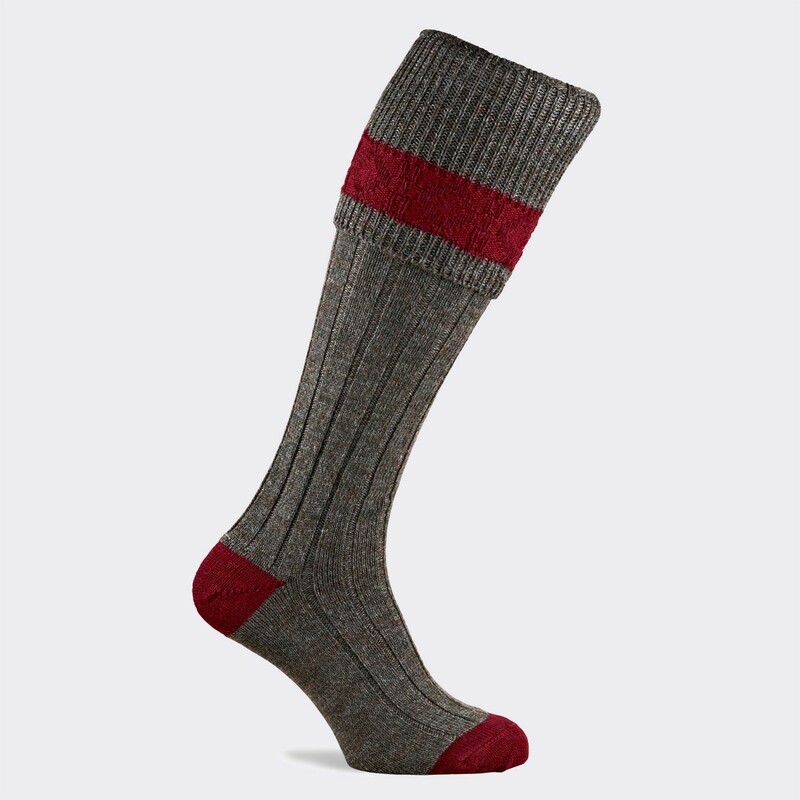 These comfortable Pennine Byron shooting socks are a great choice for this season for men, ladies or teenagers. They will keep your feet warm this winter whilst adding touch of style to your shooting outfit. In olive with ruby contrast reinforced heel and toe. Made in England. Pennine has drawn on almost 170 years of experience and expertise to create its bespoke collection of shooting socks known the world over for style, comfort and performance. A unique knitting process shapes the socks so that they have more lateral stretch where it is needed; at the widest part of the calf. Pennine Shooting socks take twice as long to produce as a standard long sock and each pair comprises of approximately 70,000 stitches. These Pennine shooting socks make your shooting outfit complete and also make a perfect gift or stocking filler. British quality and some of the best shooting socks you'll ever own!